Manchester United have splashed the cash to strengthen their midfield department in the last three summer transfer windows. In 2016, the Red Devils broke their transfer record to sign Pogba from Juve. In 2017, they lured Matic from Chelsea and last year, the Old Trafford club secured the signing of Fred from Shakhtar. If reports in the media are anything to go by then United are looking to reinforce their midfield in this year’s summer transfer window as well. 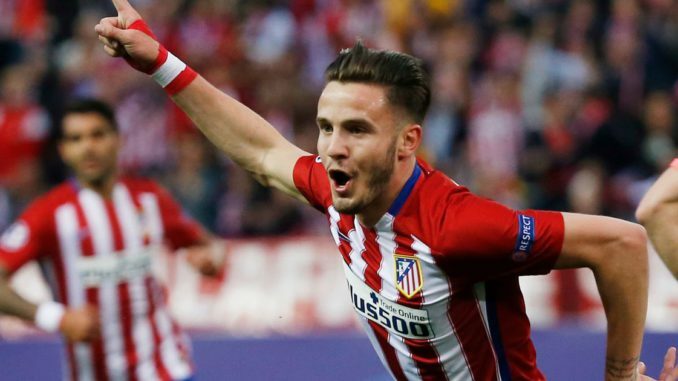 According to ESPN sources, Man Utd have joined the race to sign Atletico Madrid star Saul Niguez. As per the report, the Spanish international has got a release clause of €150m (£128m) in his contract and the Rojiblancos are set to demand full payment of the clause to part ways with the midfielder. In my view, the 24 -year-old Spaniard is a world class talent and he would be a fantastic signing for the Red Devils. Niguez is a versatile talent, who can play anywhere in the midfield and if needed, he can effectively play on the flanks as well. The Atletico star is a brilliant dribbler, who can maneuver and strike the ball effectively with both feet. Under Diego Simeone, Niguez has at times played as a defensive midfielder and even as a left back as well. If he does end up moving to Old Trafford then Solskjaer should utilize him in his preferred central midfield position to get the best out of him. As per recent reports (Sky Sports News), Ander Herrera could be leaving United in the summer and I think Saul Niguez would be a top replacement and a huge upgrade on majority of the club’s existing midfielders. In your opinion, should United spend £128m to lure the La Roja star? Expensive but certainly an improvement on our current midfield. A couple of top CBs , a right back and a good striker would also help.